Manchester United came back twice from behind to end the match on a 2-2 draw against high flying Arsenal at the Old Trafford. The draw means Jose Mourinho’s men are winless in four league matches. It was birthday boy, Anthony Martial who cancelled Shkodran Mustafi’s opening goal in the 26th minute after David De Gea’s uncharacteristic howler in the first half. Substitute Alexandre Lacazette capitalised on a Marcus Rojo error as the ball rolled over the line taking the last touch of the Argentine defender. However, Jesse Lingard came up with another equaliser for the Red Devils in just moments later which meant both sides sharing the spoils. The draw does not help their ambitions of the top four finish for both the teams as Manchester United having a tougher job cut out. 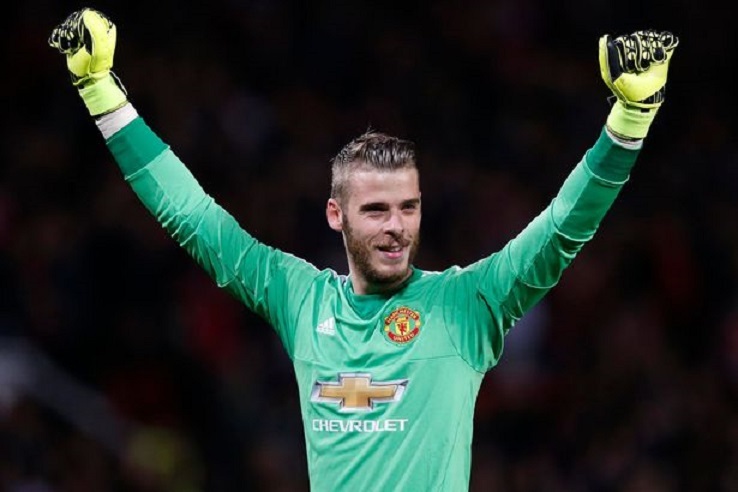 David De Gea has also proven that he is always a human being and mistakes do happen sometimes. The Spanish custodian has been their guardian angel under the sticks and one mistake and things change, that is why a goalkeeper’s job is often said to be thankless. It was from a Shkodran Mustafi header which the German smartly bounced in on the ground and De Gea who failed to read the judgment of the bounce tried to gather the ball but the ball climbed higher than he expected, nipping over him. The ball eventually crossed the line though Ander Herrera tried his best to boot it away from goal. Goal-line technology was used and it was clear that the ball crossed the line completely. De Gea’s mistake was something unheard of but speaking of which he is also a human being and sometimes during these high intensity matches pressure gets to you, hence causing a brain fade moment. It was a poor defensive show in a high voltage match at the Old Trafford all four of the goals could have been avoided if the defenders were well co-ordinated and had covered up for for the mistakes made by their fellow teammates. 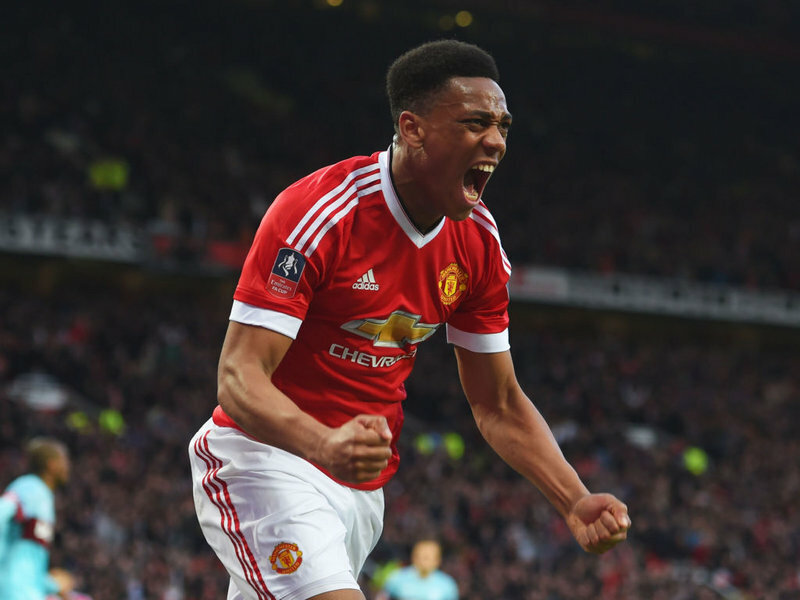 The first goal came as David De Gea’s rare flaw whereas in Manchester United’s response the whole defence was switched off when the ball trickled past the face of goal to reach to Anthony Martial who scored the first equaliser. It was a collective fault of the whole Arsenal defence as they took it lightly after the freekick was dealt with, but the loose ball from the set-piece did cost them eventually. Coming to Manchester United, their defence was caught napping when substitute Alexandre Lacazette went past two to three defenders with ease before diverting it past David De Gea. The Frenchman was sandwiched by United defenders and De Gea but till then he had already sent it past the Manchester United custodian. Arsenal conceded only 74 seconds after scoring which means they were still in the zone of celebrating their previous goal which gave them the lead as Jese Lingard went passed the defenders like a knife cutting through butter before restoring parity for the hosts. It was lack of coordination and decisiveness in their backline which cost both the sides and also Rob Holding’s injury meant more misery for the Gunners back-line. It is a sorrowful state to be after dominating most of the proceeding at Old Trafford, it was their game to win but they bottled it. Although things are not looking nice for boss Unai Emery as two forceful changes due to injuries to Aaron Ramsey and Rob Holding hindered Arsenal smooth flow in the gameplay and somehow it also was a reason they did not bag all three points. Rob Holding seems to be absent for the next fixture against Huddersfield and hence for the time being it will again Sead Kolasinac or Stephen Lichensteiner who will play out of position to cover up. 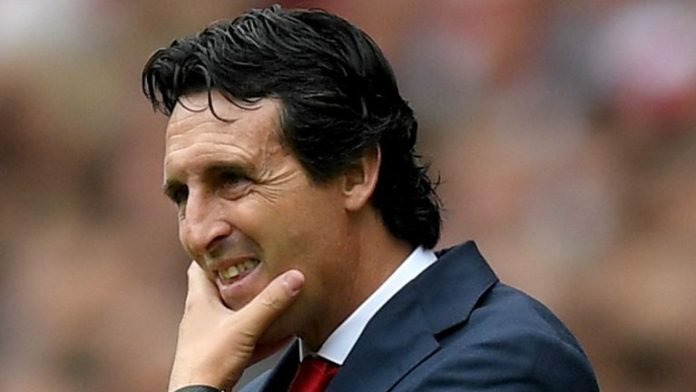 The injuries seem to pile up for the Spanish boss and it can be a serious concern for the club and Emery himself. The French winger was a livewire on the field for Jose Mourinho’s side. He was the one to score the first equaliser after Arsenal were slopping to clear the danger from a Marcus Rojo free-kick which was capitalised on by martial from close range. The Frenchman was a sensation on the night as he was hands down one of the best players donning the red of Manchester United. It was his eighth goal of the season and this has to be special for him as this goal came on his 23rd birthday. However, the Frenchman was not fortunate enough to celebrate his birthday with a crucial win as he was substituted after he seems to have pulled his hamstring midway through the second half. 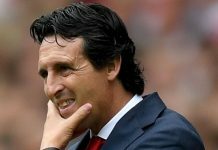 It was Unai Emery’s men who caught the game by the scruff of its neck and lions share of possession and chances to take all three points from the crucial fixture, but the Arsenal players could not keep their calm in front of goal and rejuvenated De Gea was also equally up to the task. Pierre Emerick Aubameyang had some one on one chances which the Gabonese squandered and even substitute Henrikh Mkhitaryan missed a first post tap in. It was again De Gea who saved Aubameyang’s effort from point-blank range as the former Dortmund forward could have done a lot better in that situation. De Gea started the match with a blunder picked himself up and made some very crucial saves as Arsenal were bombarding balls into the United box. It was Lucas Torreira’s last-ditch effort towards goal which the Spanish custodian kept out earning a point for his side in the process.